SAC Food Pantry eligibility expanded to include Federal Workers affected by lengthy US Government Shutdown. 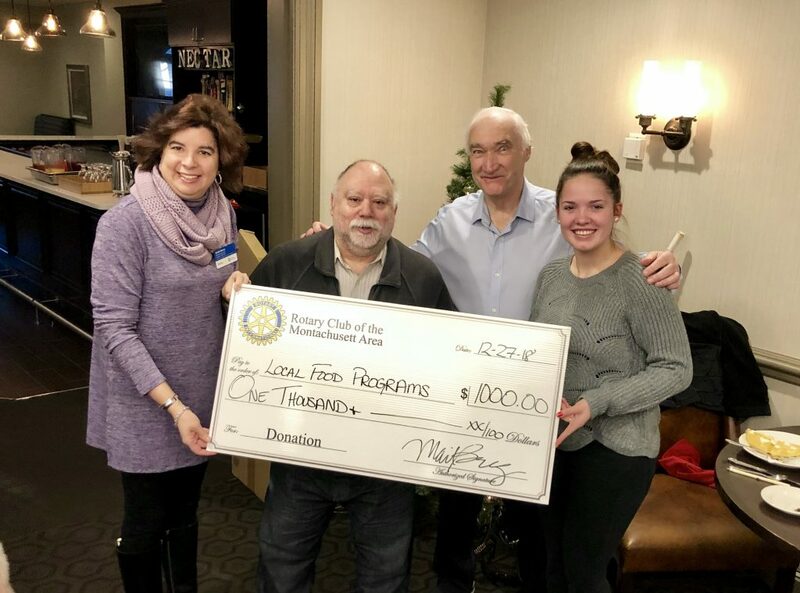 Members of the Montachusett Area Rotary Club present local food programs with a donation of $1,000! ¡Muchas Gracias! Many Thanks! Spanish American Center staff member Christina Gonzalez stocks food at the center’s food pantry. LEOMINSTER — Staff of the Spanish American Center have plenty of facts and figures to document the growing population they help feed, but the shelves of their food pantry are what really tell the story. Every wall of the center’s cavernous basement is covered in shelves or refrigerators stocked with the thousands of pounds of food that come in and out of the pantry each week, but as the number of people in need has swelled over the last year, so has the amount of food being stockpiled. “The spike started in August, but we really had a big jump in October for the holidays,” said Christina Gonzalez, the staff member now in charge of coordinating the food pantry. 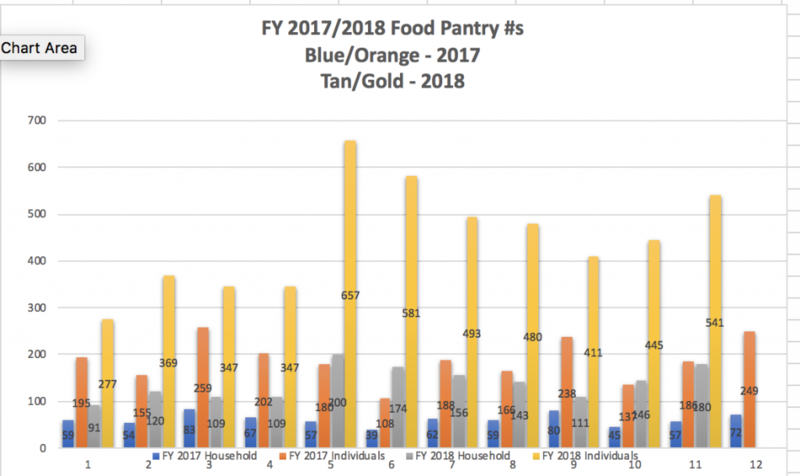 The food pantry served approximately 120 households and 350 individuals last August, but those numbers quickly ballooned to highs of 200 households and 657 individuals going into the holiday season. 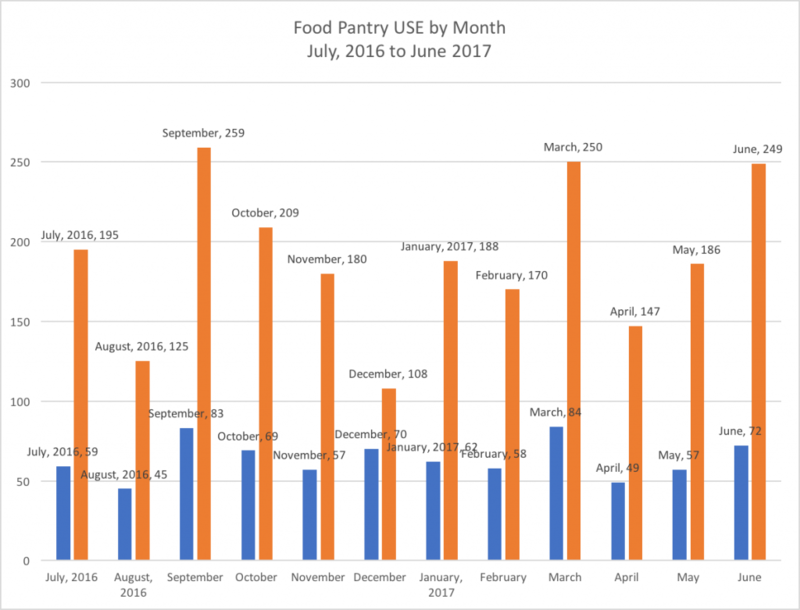 The population in need of food assistance shrank to just 141 households and 400 individuals last month, but that’s still more than three times the number of people the pantry served in February 2017. “We have a lot of families from Puerto Rico coming in and they’ve been staying with other families. 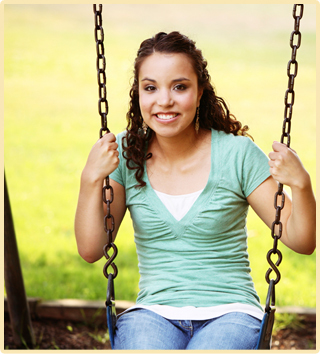 Now we have households of seven, eight, 10, where before we were used to just three or five,” said Gonzalez. Despite the sudden influx, the Spanish American Center has been able to keep up with the demand, thanks in large part to the growing support of new and old community partners. About a thousand pounds of food per week are coming into Leominster by way of the Worcester County Food Bank, but there are also as many as 55 boxes of food coming from the local Shaw’s supermarket each week. The center also recently partnered with Olive Garden in Leominster to donate pre-made meals on a regular basis. The center is also benefiting from volunteers from Fitchburg State University’s nursing program and students from the Winchendon School, who will now be serving as support staff in the soup kitchen, food pantry, and for legal services needs. However, it hasn’t just been the food pantry that’s had to adjust to new arrivals from Puerto Rico. As Gonzalez explained, the center’s ESL classes are struggling to fit all the students they’re trying to accommodate and the program’s waiting list is growing. The class is essential to new residents still learning English, who hope to find work locally. While some will likely return to Puerto Rico once the island has had more time to recover, Gonzalez said she expects many will stay, meaning the increased population the center is currently working with will become the new norm. 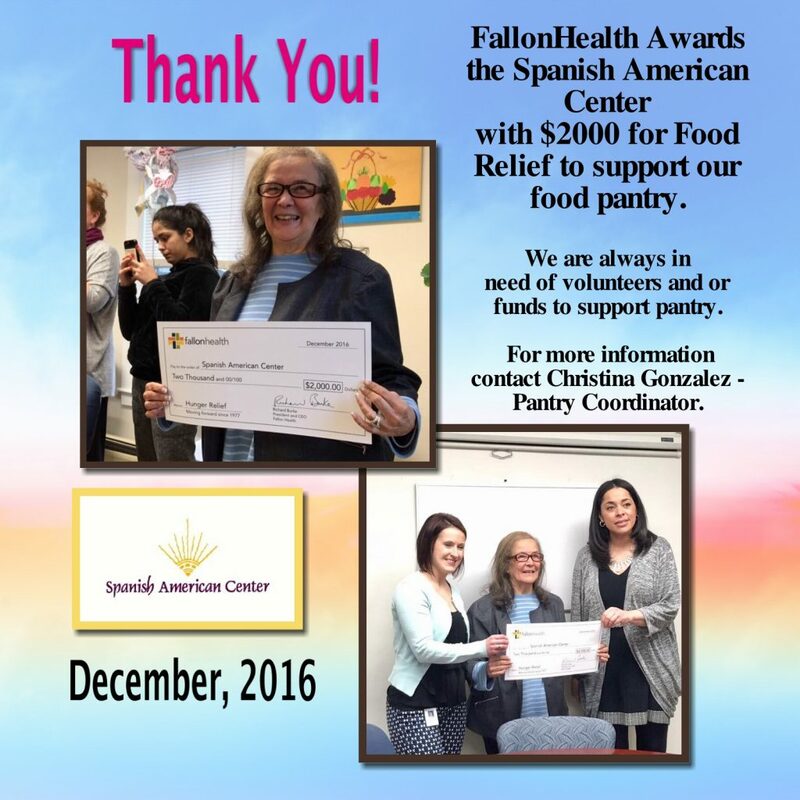 The Leominster Spanish American Center Community Food Pantry, one of our major initiatives, was developed to increase access to supplemental food for our clients who have often faced food insecurity due to a variety of social and economic reasons. This past summer (2014), for example, there was a major disruption in the food supply chain in the Leominster & Fitchburg area due to the prolonged Market Basket walk out. As many low and middle income families rely on the lower cost grocery items offered by this grocery chain, alternatives were often priced higher, causing food budgets everywhere to become stressed! As a result, our Community Food Pantry was stretched to the limit while trying to meet the needs of families who could not afford these unanticipated price hikes. Hours of operation for client visit: Monday – Friday from 9 am – 2 pm. Code: Blue = # of families helped, Orange = # of individuals helped, from July, 2016 to June, 2017. 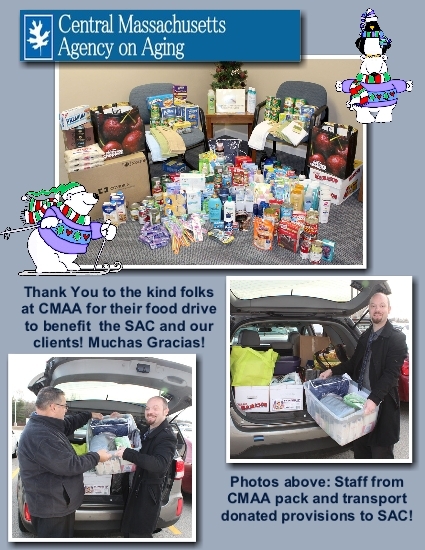 Totals: Family assistance: 735; Individual assistance: 2266. (Thanks to SAC Volunteer and Board Member Ann Bissonette for providing these statistics above). How many trips monthly to Worcester County Food Bank: 1 per month due to cost of gas and staff availability. Cost of food procured from food bank: only some items are available for purchase-approximately $300.00 per month (items most often in very short supply). Most needed/requested items from families/neighbors in need: Baby food, disposable diapers, toothpaste, toothbrushes, fruit juice,canned goods – spaghetti, macaroni and cheese mix, children’s snack items, rice, salt, pepper, vegetable oil, seasonings, soy sauce, tuna in packets/cans, tomato paste and sauces, condiments, dried fruits, nuts, mayonnaise, gift certificates to food stores, powdered milk, packaged cookies, crackers, animal crackers, graham crackers, breakfast cereals, oatmeal, instant oatmeal, pet food, shampoo, soap, hand cream, hand sanitizers, disposable baby wipes. 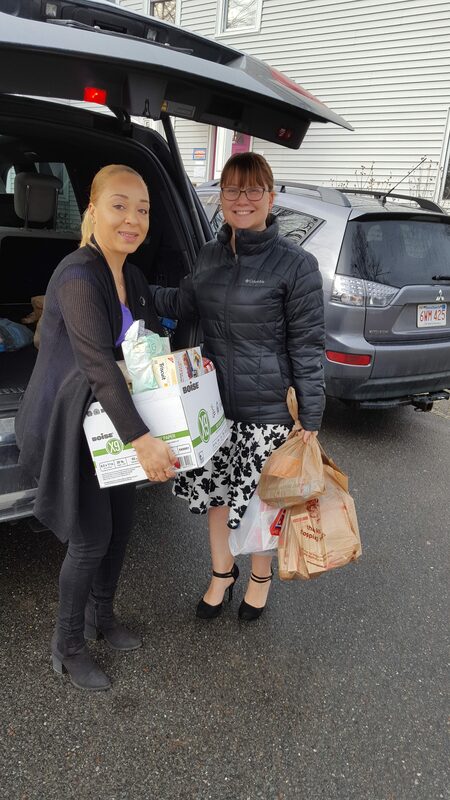 The United Way of North Central Mass provides funding which covers ten hours per week of staffing for the Spanish American Center’s Community Food Pantry. The remaining four hours we are open are covered by volunteers and staff hours, which are funded through the City of Leominster CDBG. The Worcester County Food Bank supplements the nonperishable supplies with monthly delivery of produce, when available. St. Leo’s Parish St. Vincent DePaul Society provides bread donations to the SAC Community Food Pantry. We thank them all for their continued support. The Leominster Spanish American Center is a registered 503c non-profit organization that assists people of all ethnic backgrounds. All donations are fully tax deductible as permitted by law. 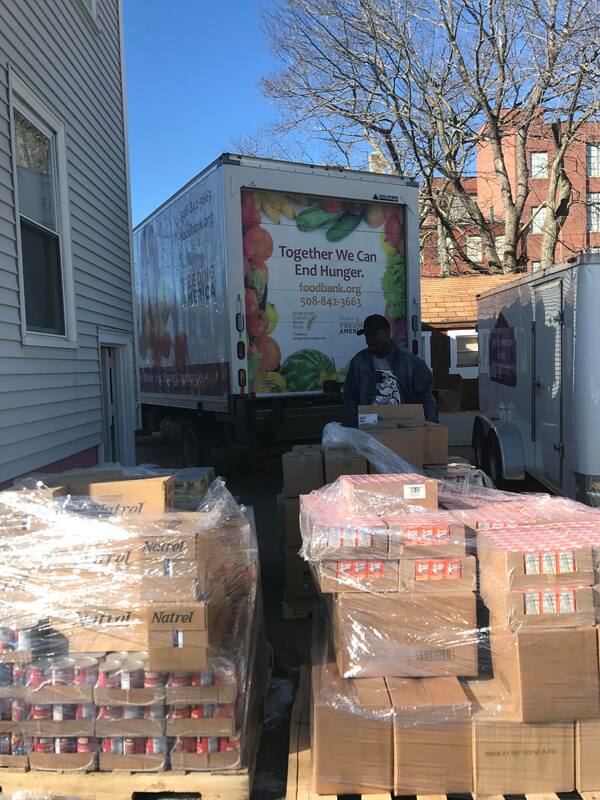 Below, delivery truck from the Worcester County Food Bank makes a delivery to SAC, February, 2018. Mitchell Duarte carries food into the pantry at the Spanish American Center in Leominster. 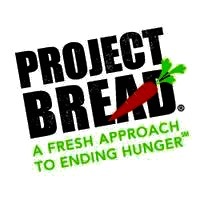 In November, 2016 the SAC Emergency food pantry received two grants – Project Bread and The Worcester County FOOD Bank in the amount of $1,000.00 each to help with food supplies! “Foundation today announced the awarding of $50,480 to 19 organizations as part of the Worcester County Food Bank Fund to End Hunger. Those who received funding will create innovative and sustainable solutions to the problem of hunger through advocacy and programs that incorporate practices that have shown promise throughout the country or in Worcester County. The Greater Worcester Community Foundation for including us in this funding grant!